Many of the Kung Fu schools tend to use and/or teach the Chinese language of the Cantonese variety and for a logical reason: due to history, many Chinese and Chinese Martial Arts teachers especially, came through Hong Kong and spread outward into the great diaspora. So whether you’re looking to begin your journey of Mandarin Chinese Language learning or perhaps you’re just looking for more vocabulary, dialogue, curiosities or whatever, this list should help you on your way! You may see the term HSK during your Mandarin journey. This stands for Hanyu Shuiping Kaoshi and refers to the Chinese Proficiency Test or the Chinese Standard Exam. It is China’s only standardized test of Standard Chinese language proficiency for non-native speakers such as foreign students and overseas Chinese. I got into teaching by accident in 2013. I love teaching. It is amazing and fun meeting people from all over the world, and I love helping them with their Mandarin journey. Through this podcast, I hope to help more people get started with their Mandarin journey. I love making my lessons fun so occasionally you might have to deal with my not so funny jokes hehe. Bite-size Chinese lessons (words/phrases) by Amy Lin from Chinese Mandarin Cafe. Do you want to learn some basics in Mandarin Chinese? The tracks presented here are designed to give you a taste of Mandarin Chinese language and culture. You’ll hear short conversations where people greet each other, introduce themselves and their families, describe where they come from and what they do for a living. You’ll hear them talk about sports, ask for directions, buy things, order food in a restaurant, invite someone to dinner – or simply share their experience of learning Chinese. You’ll also find a track to help you with pronunciation and the use of tones. Finally, there’s the chance to listen to interviews in English about Chinese-speaking cultures. Learn or Study Chinese Mandarin language and culture online for free through podcasts as we provide bite-size lessons that will be building blocks to mastering the Chinese language. Chinese Class 101 is an innovative and fun way of learning the Chinese language and culture at your own convenience and pace. Our language training system consists of free daily podcast audio lessons and on our website you have access to video lessons, Chinese Word of the Day, a premium learning center, a vibrant user community and more. Learning Mandarin Chinese is one of the growth stories of the last 5 years. With China’s economic growth and gradual liberalization over the last 10 years or so, more and more foreigners have decided to visit the country for tourism or business reasons. On the back of this surge in demand to know more about China has been a phenomenal growth in people wishing to learn Mandarin Chinese, the predominant language in the country. For quite some time, we at Learn Mandarin Now have been providing ideas, tips, and resources to help overseas and local students and our followers find the best ways to get ahead with learning Chinese. We’re sure you care about your progress—well, so do we! And now here is our latest project: a series of interesting Podcasts of keywords and phrases to help you learn more effectively. Every Chinese Audio Lesson has a PDF Transcript, Worksheet and come with Additional Situational Dialogues (on our website). Get full Website access + downloading lessons via iOS and Android app. Signup today and you’ll be fluent in no time! Talk Chineasy brings you 7-minute daily Chinese lessons. Each day, ShaoLan and a special guest share interesting cultural insights and stories as they teach you a useful Chinese phrase. Our amazing guests include rock stars, artists, CEOs, professors, adventurists, scientists, and more. You’ll discover the rich culture behind the most widely spoken language, while you learn how to converse in basic Mandarin Chinese. In 2005, there was no such thing as a language learning podcast. Then ChinesePod came along and changed everything. Almost a decade later, and with over 3000+ lessons and counting, we are the largest, most experienced resource for learning Chinese. Visit our website, with many more resources for learning Mandarin Chinese. Learn to speak Mandarin Chinese with teacher Crystal and learner Mark in regular lessons from the Radio Lingua Network. In each lesson we’ll focus on the language you need to know to and before long you’ll be making yourself understood with native Mandarin speakers. Journey to Chinese Fluency is a weekly Podcast where Victor Yang chats with people who learnt Chinese from scratch to fluency. If you are learning Chinese or planning to learn Chinese, this podcast is for YOU! Each episode details the journey of a non-native fluent Chinese speaker who shares their struggle, motivations, mindset and techniques in learning Chinese. You’ll also hear them sharing hilariously embarrassing moments, Chinese culture, Internet resources, and much more. Start your own journey to Chinese fluency with the Journey to Chinese Fluency Podcast! Welcome to My American Chinese Life, hosted by William Ennals. This podcast was created to showcase what it’s like to study a language. In this podcast I will be documenting my progress and challenges of learning Chinese and preparing for the HSK 5 (HSK = Chinese proficiency test). You can expect to hear about the strategies and resources that I’m using to learn as well as life hacks that I’ve discovered along the way to enhance the language learning experience. Weekly interviews with people who learned Mandarin Chinese as a second language. Find out why they learned it, what approach they took, and more importantly what they are doing with the Chinese they have learned. Join Laszlo Montgomery for weekly episodes that introduce commonly used Chinese Sayings and the stories and rich meanings behind each phrase. Whether you speak Chinese or not, enjoy a few stories and pick up a phrase or two from China’s ancient times. Learn a little Mandarin every day! We also offer one-on-one Chinese lessons in NYC. Welcome to Street Smart Mandarin Podcast! This show is for people want to learn how to quickly understand spoken Mandarin and apply them in various situation… and step-by-step. Learn from Sifu Kairesh, the world-class non-Chinese Native trainer that has transformed 5,000 lives to pick up and speak Mandarin in the shortest time possible with a very unique method. Mandarin is not an easy language to learn but it’s neither difficult too. All you need is the right mindset and the correct tool, its pretty easy to learn. Let me show you how. Want to have fun while learning Chinese?! Let your favorite English-speaking taxi driver help you navigate the streets of Taiwan. Take a ride with A-Fu and learn ZHONG WEN (Mandarin Chinese) with ease! A-fu’s Taxi is your number one resource for learning daily Chinese vocabulary and phrases. Updated every month, you’ll be a fluent Chinese speaker in no time! Only because you’re not learning it in the right way! Try Takeaway Chinese, a 25-minute bilingual talk show covers the most frequently used basic dialogues, words & expressions, language tips & social culture, and stories behind the idioms. Take some Chinese away and experience a progress day by day. We will promise you a difference! Here you will learn Chinese in the most authentic and practical way. We discuss recent news and trendy things in a mix of English and Chinese, teaching the most practical and subtle Chinese that you will never learn in text books or Chinese classes. KaKa Chinese Culture Show is a weekly talk show produced by KaKaChinese. We are going to talk about all about China and Chinese language. Hey guys! We’re in Nanjing, China learning Chinese! Come and explore all of our traveler highlights and learn Chinese while you’re doing it! Hey guys! Come and learn Chinese with us by traveling around Beijing! This album is pitched at an HSK 1 (ish) level, but we will be covering every level from 1-6 in the future as well as other cities. Improve your Mandarin speaking and listening by rapping. Every episode features conversation, vocabulary, original music, raps and a listener competition! Learn chinese with our podcast the easy way! Dont forget to visit our learning center on our website. There you will find exercises for all levels and material to prepare you for the HSK exam. HelloChina, produced by HelloChinese, helps guide you through the Chinese that’s not taught to you in textbooks. Modern Chinese for Modern China. New shows every Monday and Thursday. Have fun learning practical Mandarin Chinese by listening to contextual dialogues. Through structured modules designed by Chung, you will be guided step-by-step to master useful words and phrases, and confidently put together sentences to speak in everyday and business situations. A great start for learning this Romanized system in the beginnings of your Mandarin Chinese learning journey. Obviously, as an Audio-Book, this is not a Live Podcast. However, please note that we have access to the entire course here – Beginner through Advanced! John DeFrancis worked at Seton Hall University in the Department of Far Eastern Studies’ Chinese Studies program, authoring textbooks for Mandarin Chinese in the early 1960s. The original recordings were produced at Seton Hall University in Fahy Hall on reel-to-reel tapes. Over 100 hours of audio material were recorded. Between 2008-2010, the reel-to-reel tapes were digitized to help preserve the audio materials, as the condition of the tapes began to deteriorate. As such, you may hear some background noise, clicks and other auditory imperfections in the recordings. This is Beginning Chinese Reader. This is Intermediate Chinese Reader. This is Advanced Chinese Reader. Learning Mandarin with April Zhang podcast. Byte-sized language files of Mandarin Chinese for everyday life. These files only have the words and phrases- nothing else. Listen to these words and phrases and start speaking Mandarin Chinese right away. As the Shanghai Expo celebrates Hong Kong Week, the Naked Cantonese team Cecilie Gamst Berg and Sarah Passmore decide they should focus on the mother tongue of the Mainland, Putonghua. Audio for the FSI Mandarin Course. 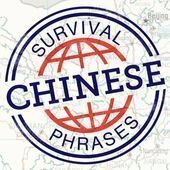 Survival Phrases is an innovative and fun way of learning the Chinese language and culture at your own convenience and pace. Our language training system consists of free podcast audio lessons and on our website you will find accompanying PDF guides and a vibrant user community. The truth is that throughout my careers in both chess and the martial arts, I often knew that my rivals were more naturally gifted than me – either with their mental machines or their bodies. But I have believed in my training, my approach to learning, and my ability to rise to the challenge under pressure.